Here I will go to explain relational database management system examples. It includes RDMS concept, advantages of RDMS, types of RDMS and comparison RDMS VS DBMS. We also explore examples of relational database management system. You also get details on the primary RDMS vendors and their products. 1.1 The Benefits of Relational Database Management System. 1.2 The Disadvantages of Relational Database Management System. 1.2.3 Difficult to handle object-relational database management systems. R- DBMS is a part of database management systems, which hold relational model. E.F. CODD creates the idea of R- DBMS. 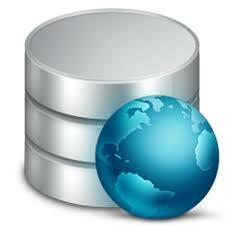 Nowadays many popular relational database management system examples are available. RDMS structured diagram is shown below. RDMS is a combination of storage management, memory management, Lock management, security and I/O management. It also includes Transection control, Distribution control, Process control, Logging and Recovery and Language processing units. Relational database management system examples consist of storage of financial records, Material management system, personal data management and other related standards. The Benefits of Relational Database Management System. Here, you will get the advantages of RDBMS. It is relational data maintenance system, which creates, maintain and manage various data in relational format. It stored data in a tabular format that means data is available in columns and rows. Following are key features makes RDMS more attractive in “database management system”. RDBMS data structure is very simple. It is based on the table format. You can search any column for matching entity. Natural and well-organised data structure. In RDBMS, User can access a database concurrently. It allows multiple users simultaneously. Locking control and transactions control management functionality maintain data consistency and integrity. The design of relational database management system makes it the fastest data structure. Simplicity minimises the slower speed drawback. RDBMSs provide access to the system through a server computer. It supported for Client-Server system. So, Users do not need to log into the physical computer system. It allows developers to produce desktop applications and Web services to communicate with databases. Security control features developed authorization. So, it allows the DB administrator to restrict unauthorised users, and allow authorised users. Authorization is also possible based on the remote client IP address. So, you can limit specific computer systems depends upon its IP address. Simple tabular column rows data structure creates RDBMS maintains free. 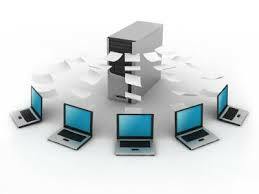 Lot’s tools available so, database administrators can easily maintain, repair, test and backup the databases. Many built-in functions supported for automation in the RDBMS. 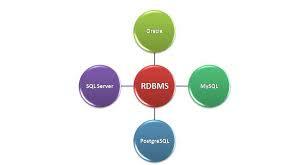 RDBMSs support a universal language (SQL) “Structured Query Language”. The Disadvantages of Relational Database Management System. Every system has some advantages and cons. Similarly, RDBMS has few drawbacks. Here we listed problems of relational database management system. One of the biggest disadvantages of relational databases is cost. Maintaining and configuring RDBMS is expensive. To setup RDMS, you need to purchase special software like SQL Server, Oracle. In next part, you will get relational database management system examples. In that, we specify the example of software required to setup relational database management system. To create and maintain RDMS, you will want to hire a programmer. So, the cost of developer increases the total cost of relational database management system. Some RDBMS have limits on field lengths. The due to limitation can lead to data loss. Difficult to handle object-relational database management systems. RDBMSfaild to handle object-relational data. Data cannot be shared easily from one system to another. This system replaces hierarchical database management system and network database management system. Because of relational database management systems easier to use than hierarchical database management system and network database management system. But object-oriented database management system and XML database produce challenges to relational database management systems. If the relation between two fields defined as many to many, then the system is called as network management system. The database system in which system described in the form of the object then its called as the object-oriented database management system. Object-oriented system store more complex data than Relational database management system, without using relation. Five primary DBMS provider, who developed relational database management system examples are Oracle, IBM, Microsoft, SAP, SYBASE, and Tera data. Three main open source relational database management system examples are MySQL, PostgreSQL, and SQL Lite. Oracle is first commercially used Relational database management systems. Which produce data distribution, capability and concurrency control. Oracle version 6 introduce Pl/ SQL which is related to SQL. It introduces grid computing in 2003 (oracle database 10g). Oracle produces various features to database administrator and developer. Oracle provided Manageability and availability. List of top relational database management system example. If the relation between object defined in the form of a table, then it’s called Relational Database management systems. Here are top 10 examples of Relational database management systems. Hope your concept will clear on relational database management system examples.